Our goal at Building the Sales Machine (BTM) is to enable sales leaders in the tech community to help and learn from each other. We’re all in this boat together, trying to help revolutionary companies disrupt the norm. To make people’s lives easier, better, more fulfilling. We’ll aim to bring some of these great teams, leaders, and strategies to life through our articles, meet-ups, speaking events and interviews. For today’s Q & A, we’re publishing our chat with Joshua Pittman, the VP of Inside Sales at Velocify, a leading sales acceleration company. Prior to that, Joshua built inside sales teams for Sport Ngin and LivingSocial. What traits do you look for in a salesperson? This could very well be the single most important part of growing a sales team. When deciding whether or not someone is a good fit for our sales team at Velocify, there are some very defining traits that I have found to be instrumental in long term success. The first being grit. In sales, we can take verbal and emotional drubbings. I want to know that someone isn’t going to give up when adversity kicks in, because it inevitably will. Secondly, I am looking for an internal motivator beyond the money. What will earning a lot of money do for them? Will it allow them to “make it” when moving across country? Are they trying to prove someone wrong? I’m looking for that chip on their shoulder that will force them to go that extra mile. Additionally, I look for energy and intelligence. Nobody wants to buy from someone who sounds like someone kicked their dog that morning, and intelligence goes without saying. Can they think on their feet? How many times does something need to be explained before it is absorbed? Additionally, the best sales reps are always students of their craft. They are constantly seeking to improve and optimize their skills at every turn. If they haven’t read a litany of sales books and/or subscribed to sales-centric blogs and groups, they don’t take their craft seriously. Last but not least, I look for ethics. If they don’t have ethics, every other trait mentioned above will create a living nightmare for the entire sales team. Best technique for helping new salespeople ramp in your organization? I have always found that if you’ve hired the right sales rep they are eager and excited to get on the phones or in the field to start producing. Aside from the normal onboarding training from Human Resources, classroom training can only take a new hire so far. Most people in general learn more effectively from doing vs studying. As a result, I’ve found it extremely effective to get them into a seat sooner rather than later with an “accelerator” or mentor so they can start to encounter the challenges of the job right away. This accelerator is generally someone that is a leader or coach on the sales team but not a manager (although this could be a leading indicator of future managers). This mentoring relationship always starts with the new sales reps closely monitoring the seasoned sales reps’ day, then ends with the inverse to that; the seasoned reps loosely monitoring the new hires’ day. Between these times, the seasoned rep will move from running all new hires’ demos to just chiming in every now and then. By the end, they’ll just listen in to a few demos a day. All the while, the manager should be checking in to monitor progress. The glue that holds this together is that all the new hire opportunities and commissions are being split with their mentor their first month against a ramp quota, or longer if additional mentoring is needed to be self-sufficient. This is a natural motivation for the new hire to learn the product and sales process as soon as possible in order to retain full commissions on their opportunities. What do you think of cold calling? Should sales teams still be using it? There has been no shortage of debate over this issue the past couple years, and some people have made waves around the industry touting “Cold Calling is Dead!” My thoughts on the matter are that if anyone thought that picking up a phone and calling someone out of the blue without using a multi-contact approach would be effective, they would be right in saying that cold calling is dead. Conversely, if someone thinks that only sending emails without picking up the phone with an unsolicited call to the same prospect is more effective, they too would find themselves with subpar performance. Cold calling and emailing are extremely complimentary where one hand washes the other. I even go a step further and throw in social selling. All three of these channels are ineffective alone, but combine [them] into a contact strategy, and you will see precipitous increases in response rates. Here is why: Aside from the branding aspect of the prospect hearing your name and company multiple times so that when their buying cycle arrives they remember you, multiple contacts validate that you are neither a spammer nor a cold caller. By referencing the email in the voicemail, and by referencing the voicemail in the email you create authenticity. The second part to this equation is content. There needs to be a WIIFM (What’s In It For Me) so that there is a call to action. The emails and voicemails should reference something that creates association, like a large local account already using your services that they would recognize. Additionally, there needs to be intrigue created so that they need to get back to you in order to find out how you are going to help them experience something similar to what that big current customer is experiencing. Most important thing to learn for new sales managers? I think this can be broken into two categories: A) Coming into an existing sales team as a newly hired manager and B) being promoted from within the sales team to manager. Beginning with coming into an existing sales team as a new manager, it is imperative to earn the respect of your team. The fastest way to do this is close business and help them directly close business so that they see direct impact of your efforts in their commissions. This also shows them that you can do their job so they will be more apt to listen to coaching and build credibility. For the first time sales manager, the difficulty lies in making a clear line with previous peers that while you can still be friends and enjoy comradery, now there are different leadership responsibilities that don’t allow you to engage with them in same ways as when you were a peer. This can lead to resentment and perceived favoritism so it is important to quickly level with each of your reps where the lines are and how you plan to run the team. Regardless of the scenario, it is important to set a vision for where you plan to get the team and how you plan to get them there. Most effective coaching techniques for giving feedback to a sales rep or sales manager? I’ve always taken an interactive approach. Similar to the way a customer buys a product, a rep or manager will buy the coaching and feedback. Nobody likes to be told what to do or how to do something, but everyone likes to figure something out. As a result I have found analogies and questions that lead to them critically think out the answers themselves to be extremely effective. This approach at first glance seems long and tedious because it requires us to slow down and focus on the lesson, as opposed to just showing the rep or manager how to do something; or worse, just doing it for them. In the short run, it will get done quicker, and it will seem that you’ve just accomplished something. The challenge is, when the rep or manager comes back with the same challenge again… and again.. and probably again. The lesson was never learned the first time, so while at first glance this was time effective and efficient, the follow up coaching will eventually end up taking more time than if we allowed the rep or manager to critically think their way to the solution initially. When in the weeds as managers, we are moving quickly, and it can become difficult to see the long term strategy of taking the critical thinking approach. With that said, it quickly becomes impossible to scale your team and have them performing at a high level when coaching through the show and tell method. Joshua Pittman is the Vice President of Inside Sales at Velocify, a leading sales acceleration company based in Los Angeles, CA. A seasoned Inside Sales expert with over 10 years of experience, Josh specializes in architecting, growing and leading sales organizations within the technology space. He has built numerous high performing teams throughout the country; most recently designing and executing the sales growth plan of Venice, CA based startup Cargomatic. 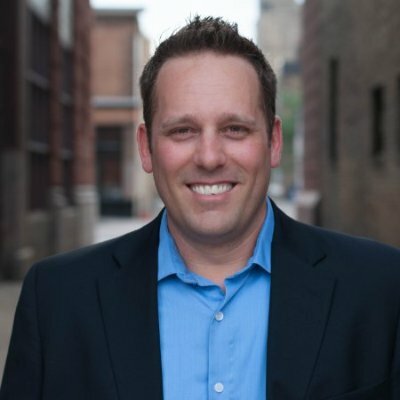 Josh also architected and implemented the sales structure and growth plan at Minneapolis based Sport Ngin, a leader in the emerging sports technology space. During his 4-year tenure at the high growth Washington DC social commerce startup Livingsocial, he built out an industry leading 100+ rep Inside Sales team while driving numerous successful pilot initiatives. Is sales / sales management a trade, craft, or a profession? Growth hacking and sales hacking are all the rage, but do they work? Building The Sales Machine Copyright © 2019.